I have a few FLAC files that I'd like to play with iTunes. I would like to retain the metadata if possible. How can I convert the files to a format supported by iTunes? 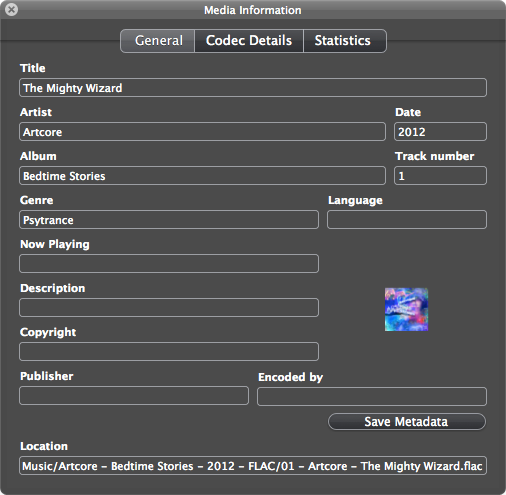 You can always convert media via FFmpeg, available as a static build for OS X from the downloads page. Set the quality via -q:a, which corresponds to LAME's VBR options, 4 being default and 0 being the best quality. -aq 400 ≈ 270 kb/s for music, 200 ≈ 210 kb/s, 100 ≈ 130 kb/s. -aq 0 corresponds to -V0 in lame. 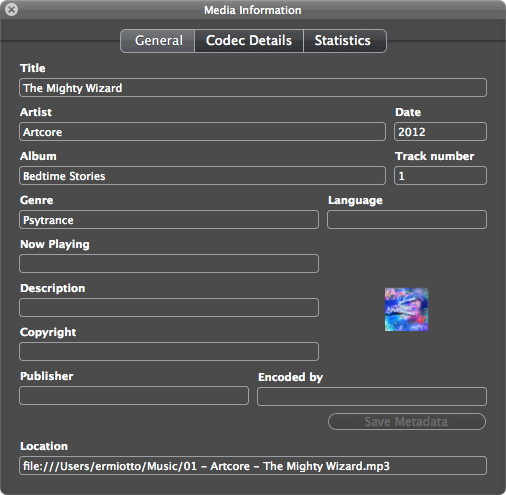 ffmpeg preserves tags by default but not cover art. I've used Max with success in the past. P.S. : the linked site uses frames, to read a comprehensive description of the program follow this link. This only converts to lossless and non-lossless formats. You can use it to convert to Apple Lossless that iTunes can play then play that or rip it to whatever lossy format you prefer that iTunes supports. Not the answer you're looking for? Browse other questions tagged macos mp3 flac audio-conversion or ask your own question. How to Play 24 bit flac on iTunes? What's the simplest way to get .flac music files into iTunes? Mac .flac player that organizes folder structure? Can Songbird write to a ntfs drive? Program to convert flac to mp3? Painlessly convert FLAC to ALAC on Windows? How can I make a FLAC+cue from multiple FLAC files? 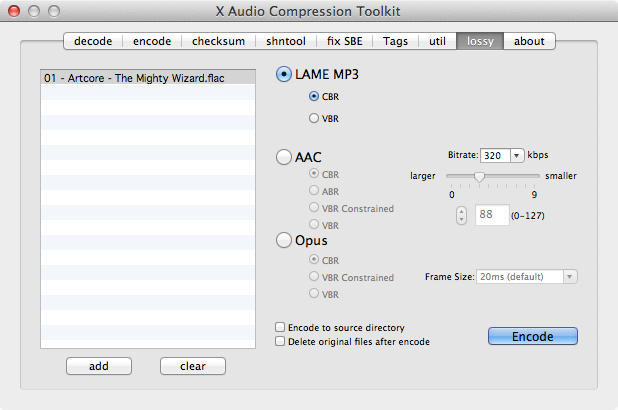 Best audio converter for flac to alac? What command line options should I use to convert FLAC level n to FLAC Level 8 without quality loss?